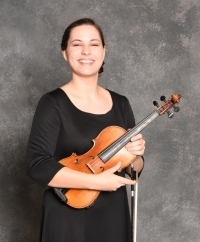 Tarnay has performed on the violin with the Heights High Symphony for four years, achieving Principal Second in her freshman year and serving as Concertmaster her junior and senior years. She has also played in the chamber ensemble program for three years, frequently performing around the community in various events. Along with school ensembles, Tarnay has been a member of the Contemporary Youth Orchestra for two years, achieving Assistant Principal Second Violin and Assistant Concertmaster in her second year. She has served as Vice President of Service for Tri-M this past year, and was a counselor at the Reaching Heights Music Camp for three summers. Outside of the music department, Tarnay has also been on the swim team for four years, serving as a captain her junior and senior years. Tarnay also enjoys reading, working as a lifeguard at the community pool, and spending time with her friends. Next fall, she plans to pursue studies in biomedical engineering. 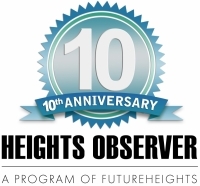 The Heights High IMD's spring concert series begins on Wednesday, April 24, with Season Finale Concert I, at 7:30 p.m., featuring the Concert Band, Symphonic Band, and the Concert Orchestra. The series continues on Friday, April 26, with Season Finale Concert II, featuring the Symphonic Winds and the Heights High Symphony. Both concerts will be held in the Heights High Auditorium, and will be preceded by performances by Chamber Ensembles at 6:30 p.m.
A reception will follow the concert on Friday with entertainment by the Jazz Ensembles. Additionally, the Heights IMD Jazz Ensembles, under the direction of Brett Baker and Ben Ammon, will perform a program of upbeat music at their annual Jazz Night concert on Friday, May 3, at 7 p.m., in the Heights High Auditorium. Baker is the Director of Bands, Daniel Heim is the Director of Orchestras, and Ammon is the Director of Chamber Ensembles at Heights High. 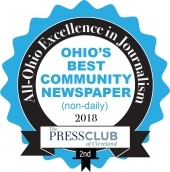 Corbin Covault is the communications coordinator for the Cleveland Heights High School Band and Orchestra Parents Organization (BOPO).